Editor's Note: 'Our Colorado' helps us all navigate the challenges related to growth while celebrating life in the state we love. To comment on this or other 'Our Colorado' stories, email us at OurCO@TheDenverChannel.com . See more 'Our Colorado' stories here. 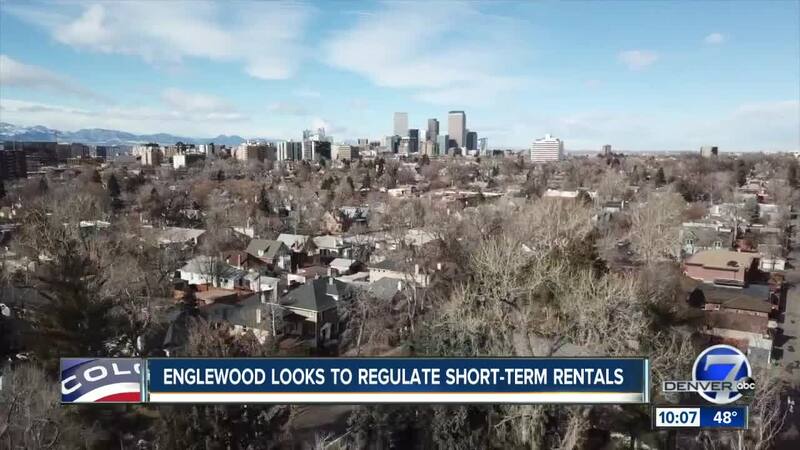 ENGLEWOOD, Colo. — Experts from surrounding cities will weigh in during a forum to discuss possible short-term rental regulations in Englewood. Currently, the city does not have any regulations surrounding these businesses, but staff believes approximately 100 homes are being advertised. Cities across Colorado are trying to figure out how to regulate this growing business with varying degrees of regulations. Denver recently adopted new rules regarding insurance requirements. It also provides clarification about when a license application can be denied or revoked. Denver revoked a short-term rental license for the first time last month after neighbors complained about wild parties at a $5 million mansion turned boutique hotel. "We haven't had any issues, just minor complaints about noise and parking," said Erik Sampson, a planner with the City of Englewood. Sampson said the city wants to be proactive in order to protect neighborhoods. As far as the specific regulations, those details are still being worked out. He envisions some sort of permitting process that will require a fee or renewal. The home would also have to be eligible based on city zoning code. The forum will take place on Tuesday, April 2 at 6:00 p.m. in the Community Room of the Englewood Civic Center. Residents will have the chance to ask questions and learn more about the proposed regulations.